An upcoming I CARE Foundation report focused on determining the estimated cost of international parental child abduction in the United States titled 'The Financial Cost Of International Parental Child Abduction On The U.S. Economy' forecasts targeted American citizen parents who have their child internationally abducted by the other parent could surpass billions of dollars over the next decade in their effort to reunite with their children if the growth rate of abduction is not significantly reduced. In addition, according to the study, the overall cost of international abduction for the American taxpayer is considerably high, as the total cost of abduction includes ancillary and supporting costs associated with cross-border child kidnapping. These costs will be a heavy burden to the American taxpayer and involve considerable expenses related to the financial burden placed on the state and federal court systems who have jurisdiction of the legal proceedings, and costs associated with law enforcement intervention, as the illegal detention of a child by one parent by another in violation of a court order is the criminal act of kidnapping according to state and federal laws, including the International Parental Kidnapping Crimes Act. Additionally, the report cites that due to the hard reality that a parent who has their child criminally internationally abducted by the other parent receives minimal government aid, including no financial support for litigation and minimal financial aid in reunification efforts under the United States' Congress' annexation of The Hague Convention on the Civil Aspects of International Child Abduction, many targeted parents will use the vast majority of their resources chasing the cyclone of international parental child abduction in their attempt to reunite with their criminally abducted child. Inevitably, as the nightmare of abduction moves forward, many targeted parents are unable to work due to their need to put considerable time and effort into navigating the complex legal maze required for them to reunite with their child, that is, assuming they even know where their child is. In addition, the financial burden on the American taxpayers in lieu of thousands of parents each year facing the grave challenges of international abduction is consuming and includes a substantial loss of tax revenues due to a chasing parent's loss of employment combined with an increased burden of financial responsibility connected to social service aid needed by many targeted parents, who sadly, are at risk of loosing their life savings trying to rescue their child from kidnapping. 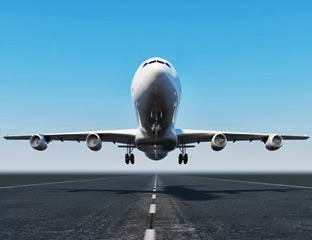 According to 'The Financial Cost Of International Parental Child Abduction On The U.S. Economy', collectively, the ancillary and supporting services costs are forecast to have a significant toll on the economy and will continue to grow. The final report is scheduled to be released by the I CARE Foundation in mid-May, 2012. According to 'Chasing The Cyclone' and 'The World Turned Upside Down' author Peter Thomas Senese, a director of the I CARE Foundation and one of the researchers and writers of 'The Financial Cost Of International Parental Child Abduction On The U.S. Economy", "The financial burdern on American parents and taxpayers due to a failure to create international child abduction prevention laws and for courts to uphold existing laws that protect children, parents, and our nation are shocking, and will exceed billions of dollars, as is predicted in the upcoming report. One of the many questions that presents itself is why no presidential candidate is addressing the billions of dollars that our society will lose, not to mention a prediction that could see over 100,000 American children internationally kidnapped between the anticipated reported and unreported cases over the next decade? Certainly, the possibility of billions of dollars in losses and 100,000 American children's lives stolen is something to talk about." The most recent statistics of international abduction comes from the 2010 Report on Compliance with the Hague Convention on the Civil Aspect of International Child Abduction prepared by the U.S. Department of State’s Office of Children’s Issues cites that there were 1,621 ‘reported’ international parental child abductions originating from the U.S. during 2009. The average growth rate over the past several years is approximately 20% per year.Additionally, the number of ‘unreported’ cases of international child abduction to contiguous nations is believed to be substantial and is discussed in "Crisis in America: International Parental Child Abduction Today" that is included in the publication "The World Turned Upside Down." Supporting the concern of the existence of significant ‘unreported’ cases is the most recent National Incidence Study of Missing, Abducted, Runaway and Thrownaway Children (NISMART-2) study, which reports that of the 203,900 children that are estimated to be parentally abducted annually in the U.S., only 28% (56,500) of these abductions were reported to law enforcement. Congressman Christopher Smith of New Jersey, the lead sponsor of H.R. 1940 stated in an 'Amendment In The Notice Of A Substitute to H.R. 1940, "The Department of State's Office Of Children's Issues, which serves as the Central Authority of the United States for purposes of the 1980 Hague Convention on the Civil Aspects of International Child Abduction reported that from fiscal year 2008 through fiscal year 2010, it received 3,239 new requests for assistance in the return of 4,728 children to the United States from other countries." Requests for assistance to the United States Office of Children's Issues does not include 'unreported' cases of international abduction, which according to the previously issued report 'Crisis In America' written by Peter Thomas Senese and Florida's Child Abduction Prevention Act writer Carolyn Ann Vlk, is forecasted to be near equivalent to the 'reported' cases of cross-border abduction due in part to immigration migration projections. Previously, the Office of Juvenile Justice and Delinquency stated in their December, 2001 report that, "Left behind parents pay a high price in cases of international abduction. Approximately one-half of the parents surveyed reported on the amount of money they spent for and/on recovering abducted children. These parents spent on average $33,500.00 for search and recovery efforts. About one-fourth of these parents spent $75,000.00 or more." The survey's mean was $61, 238.00, and the medium was $33,500.00. Joel S. Walter, a prominent international family law attorney practicing in New York State commented, "The 2001 Juvenile Justice and Delinquency report was published over a decade ago. During this past decade the number of illegal child abductions has grown exponentially. So too have the costs associated with reunification as will be conveyed in the I CARE Foundation's upcoming report. Combining the direct financial burden placed on targeted parents, we must consider the ancillary costs associated to court proceedings, law enforcement intervention, government administration of these costs, inflation, and the social cost directly related to the loss of taxable income and social service report. The reality is our nation needs to increase both state and federal laws and policies that prevent abduction from occurring, while our courts and the judges that oversee cases of potential abduction need to act with great caution. Undeniably, this is a grave problem. However, it is simply not a problem that parents who are targeted for this crime face. Economically, the abduction of a child is an attack on the American economy, and the financial cost over the next decade is enormous and will run into the billions of dollars. Clearly, at a time that our nation decides who our new government leaders will be, this is an issue that needs to be seriously discussed." “According to the U.S. Department of Justice, human trafficking has become the second fastest growing criminal industry, with children accounting for roughly half of all victims”, says Matthew Barbis, Founder & Chairman of The Rose Brucia Educational Foundation, “It is abundantly clear that we must fight child abduction at the source and teach our children the proper response before the situation presents itself." Best-selling geopolitical thriller author Peter Thomas Senese and Pacifica Publishing are pleased to announce the critically acclaimed international legal thriller Chasing The Cyclone is now available at Barnes & Noble in e-book for Nook readers. Previously, Chasing The Cyclone was made available exclusively on Amazon as Mr. Senese donated 100% of his royalties to the I CARE Foundation, an organization created to assist parents and children targeted for abduction. 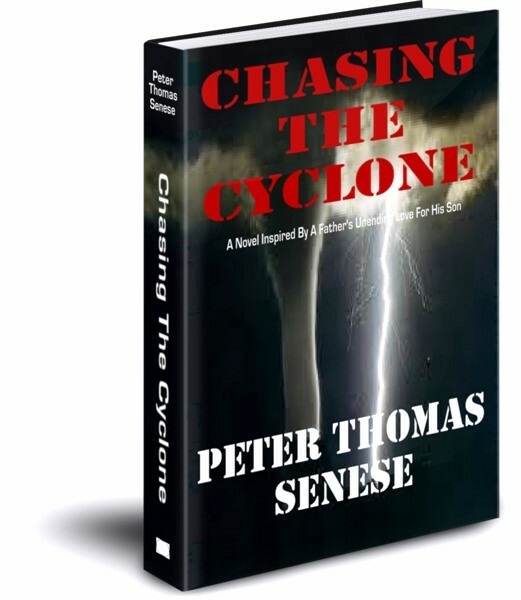 Peter Thomas Senese commented, "I am pleased to share that Chasing The Cyclone is now available at Barnes & Noble for Nook users for download. Barnes & Noble is a vital institution for readers and writers alike. As we prepare for Chasing The Cyclone's upcoming international hardcover release, along with some other important news related to this story and international child abduction, I am pleased to share that 100% of my author royalties earned from Chasing The Cyclone e-book sales at Barnes & Noble will be donated to the I CARE Foundation. Critics have praised Peter Thomas Senese's Chasing The Cyclone. Peter Thomas Senese's inspirational legal thriller is one that perhaps few other writers could have written with such intimacy, familiarity, and depth of understanding: it is a story of a father doing everything possible to find and reunite with his internationally abducted child that is Peter Thomas Senese's Chasing The Cyclone, which is heavily inspired by the writer's own experience chasing into the cyclones of international child abduction. Since his own experiences ended, and fulfilling a promise that he made, Mr. Senese has had a significant impact on creating various tools to assist targeted children and parents, including the creation of The I CARE Foundation, a not-for-profit organization dedicated to stopping child abduction that has successfully reunited numerous internationally abducted children with their parents, or has assisted in the prevention of an abduction. 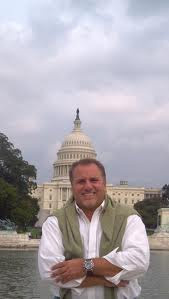 In fact, Peter Thomas Senese is donating 100% of his author royalties to the I CARE Foundation. 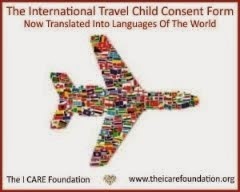 One of the major successful undertakings of the I CARE Foundation's is the public campaign to build the Department of State's Hague Convention Attorney Network of pro bono lawyers willing to assist targeted children of abduction.